Saturday, February 17, 2018 10:00 a.m.
Los Angeles – Community members are invited encouraged to attend one of six community meetings hosted by the Board of Police Commissioners to provide input on the selection of the Chief of Police. The meetings will be held throughout the City of Los Angeles. 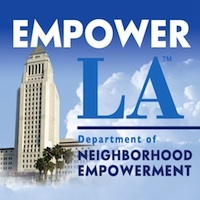 The purpose of the meetings is to allow public to provide input on the discussion about the attributes, qualifications, and experience needed to lead the Los Angeles Police Department and oversee public safety for the diverse communities of the City. The Police Commission will be establishing a link to allow for public input via internet. The web link to access a survey will be posted and accessible later this month. Based on the input provided by the public, the Police Commission will consider the suggestions and concerns when making selections and assessing the qualifications of the candidates being considered for Chief of Police.